Summertime… and the living is easy! 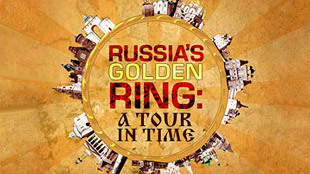 As temperatures reach the mid thirties, RT's travel fanatic Martyn Andrews and his crew leave the busy capital in search of a time travelling retreat – and where better than Russia's magnificent Golden Ring cities and towns? Historical, beautiful and bustling with traditions centuries gone by. Stunning monasteries, green vast landscapes, bright onion domes, weird and wonderful museums and rural life at its best. Don't miss Martyn's journey to the heart of Russia!